LOS ANGELES (May 10, 2016) – Yesterday, Iraq and Afghanistan Veterans of America (IAVA) and technology developer Kapps Media launched the first ever military and veterans emoji app, dubbed “Vetmoji,” for smartphones. As part of an IAVA VetTogether hosted by comedian and IAVA supporter Kathy Griffin, IAVA provided its members an exclusive look at the “Vetmoji” app, which includes more than 100 military expressions, images, and audio and video files. With input from IAVA, the app was developed by Kapps Media. A portion of all proceeds will benefit IAVA. Following the launch of the app, immediate attention grew on Twitter as celebrities and veterans began using the Vetmoji. 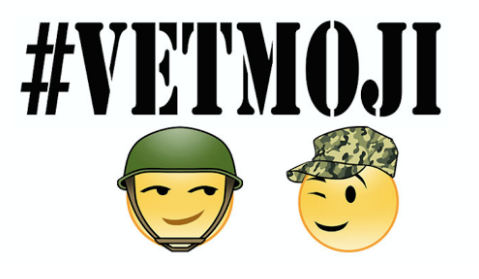 Featuring exclusive and unique emojis and premium stickers, Vetmoji allows users to communicate using military expressions, images, audio, video and GIFs. Vetmoji is available for download on both Apple and Android app stores. Kapps Media, LLC is a Santa Monica-based mobile messaging technology company, that focuses on providing global users with custom keyboard emoji apps from their favorite actors, athletes, musicians and organizations. Kapps is dedicated to advancing the mobile communication medium through the highest quality art and constant technological advancements.